BIA-Hawaii announces a new program, the Rural Business Rail Assistance (RBRA) Learning Sessions. 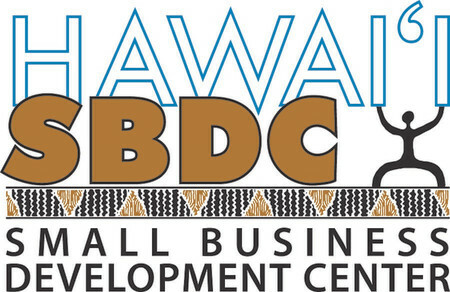 RBRA's main objective is to provide technical assistance and informational resources, in collaboration with local organizations, to support small businesses in Waipahu, Pearl City, Aiea, and Ewa Beach in minimizing economic impact, through construction mitigation, during construction of the largest public works project in the history of the State. Construction mitigation is a strategy to enact measures to counteract negative economic effects of construction projects and vary in activity from increased outreach to legislative directives. A number of reports and studies have evaluated the effectiveness of construction mitigation strategies. Providing technical assistance to businesses affected and developing collaborative strategic relationships among businesses and community organizations is essential in helping businesses weather the economic storm resulting from the upheaval of regular business operations during construction. No cost to participate as the registration fee has been subsidized by a grant from the U.S. Department of Agriculture. Session #1: Monday, July 17 at the Building Industry Association of Hawaii (94-487 Akoki St; Waipahu) - Social Media and Marketing: Stay up to date on the latest strategies to increase your business’ bottom line! Session #2: Thursday, July 20 at Pearl City Library (1138 Waimano Home Rd; Pearl City) - Leveraging the New Landscape: Strategies to survive the challenges of long-term construction. Session #3: Monday, July 24 at Pearlridge Center, 98-1005 Moanalua Rd., Aiea, HI 96701- Local Successes & Best Practices: Join our panel discussion, featuring local businesses that survived Rail construction on Oahu. We’ll close RBRA with an opportunity to learn from national expert, Yvette Rapose of LA Metro, who will share her experience navigating a similar public construction project. Questions? For further information please call 808.629.7505. BIA-Hawaii is an equal opportunity Provider, Employer, and Lender. The Oahu Rural Business Rail Assistance Program is funded by the U.S. Department of Agriculture, Rural Development and is supported by the Honolulu Authority for Rapid Transportation, the Small Business Development Center, Move Oahu Forward, and the Pacific Resource Partnership.